I’ve gotten a little fired up about Lent, y’all. I know that the vast majority of Christendom has practiced this season for hundreds of years and I am not sure where I have been. For me, it all started with wanting my kids to get equally, if not more, excited about Easter as Christmas. On any given morning, Sister will wake up messy-haired and bleary-eyed asking, “Is it Christmas?” To which I answer, “No, Sister, it’s just a great day to be alive.” It cracks me up. But it also fires me up with a passion for us to celebrate the central thing that victoriously sets Christianity apart from commercialism, consumerism and all other religions on the planet. The thing that’s worthy of our deepest, most heartfelt daily celebration. The Resurrection!!! 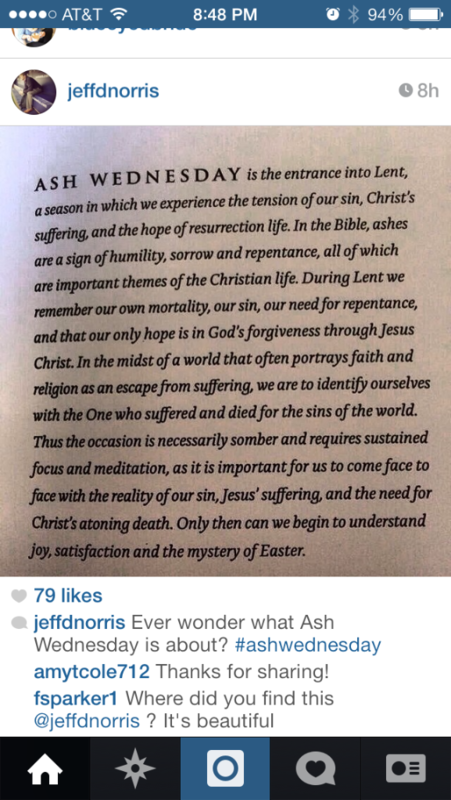 But take it from me, the girl who consistently says “Black Friday” when I mean to say “Good Friday” and who wiped what I thought was eye-shadow, off a girl’s forehead in hopes of saving her the embarrassment of walking around all smudged up on (what I now know to be) Ash Wednesday…I am a liturgical nightmare. The ESFJ in me really LOVES traditions, but unexpectedly adding a two children to our Holiday routine last year didn’t give me much time to prep what we would and would not do. I remember even as a kid, holidays bringing a lot of anxiety, comparison and performance to the surface of my heart. For the love of the Peter Rabbit, one of our first marital blow-outs was in the lobby of Shandon Baptist on Easter Sunday…poor Joel. It’s not like he maliciously neglected to get me an Easter Basket! I’ve always wanted to have our rhythms and rituals in perfect place, but you can bet your seersucker suit that the high expectations have left me feeling flat and disappointed. I am having to continually choose to lay that mess down and as a family we are just figuring traditions out as we go each year. We are LOVING Lent and I thought I’d share a little bit of how we are celebrating along with some tools I’ve found to be helpful. I hope that the “we are learning as we go” style of this post will be more accessible and applicable than a “we’ve got this thing nailed” approach. So the chain, a quick reminder of the meaning and either a reading from Jesus Calling for Kids or this handy dandy Lent Reading schedule. That’s our norm. I’m trying to come up with one concrete visual each week that will help the kids (and ME!) relate Lent to our daily lives. Week 1 Bowl of Flour & The Color Purple: I got this idea from Aimee, one of my mentors, who got it from Ann Voskamp, one of hers. 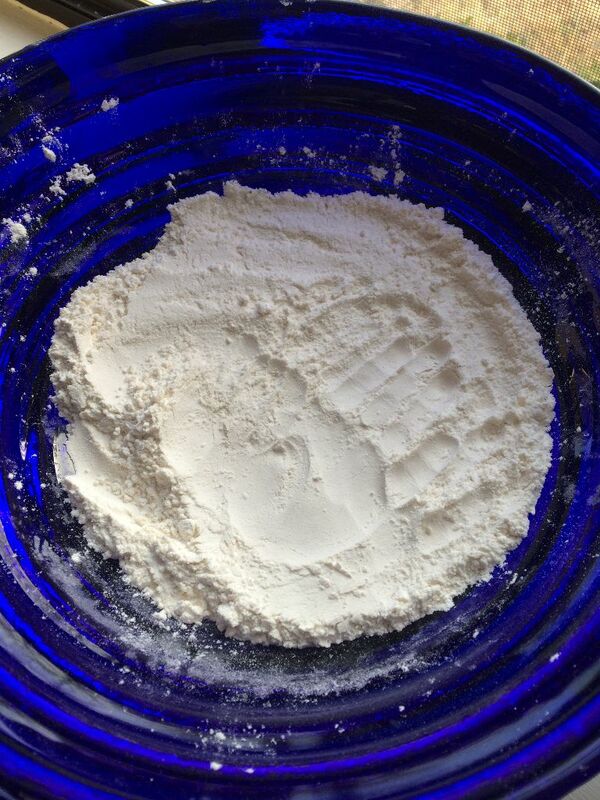 I nearly wept as I offered my kids the bowl of cool flour for them to draw a cross on and talk to God about their sin and then to see the light bulbs flicker in their little minds and hearts as we wiped the sins away and talked about Jesus washing sin away and making believers white as snow. Very real. Very tangible. Very powerful. Very messy, so the bowl only lasted the week. 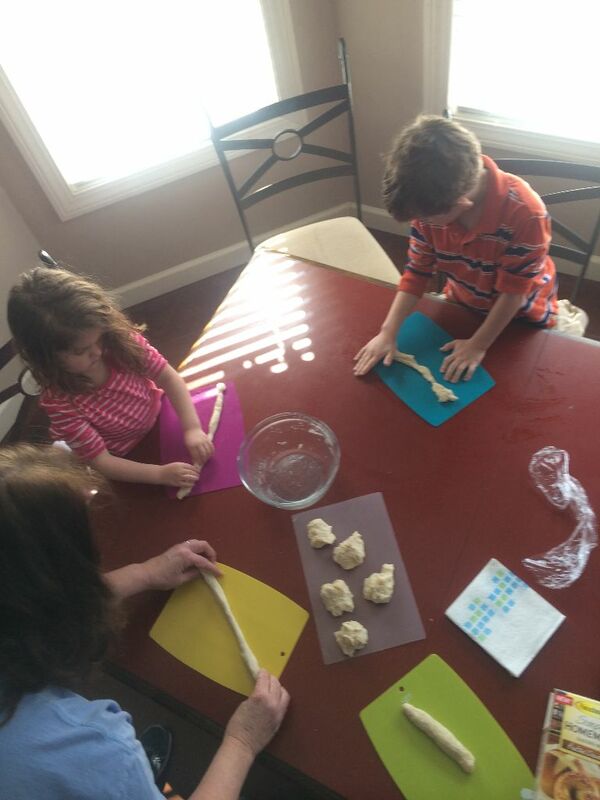 Week 2 Lenten Pretzels: Who knew pretzels originated in the tradition of Lent? Gigi grabbed us a box of Fleischman’s pretzel mix and we had fun reading the story of pretzels. We also briefly talked about how God loved the world enough to send Jesus and how pretzels look like arms giving a hug (which was a traditional prayer position). cradle to the cross. Will let ya know how this goes! 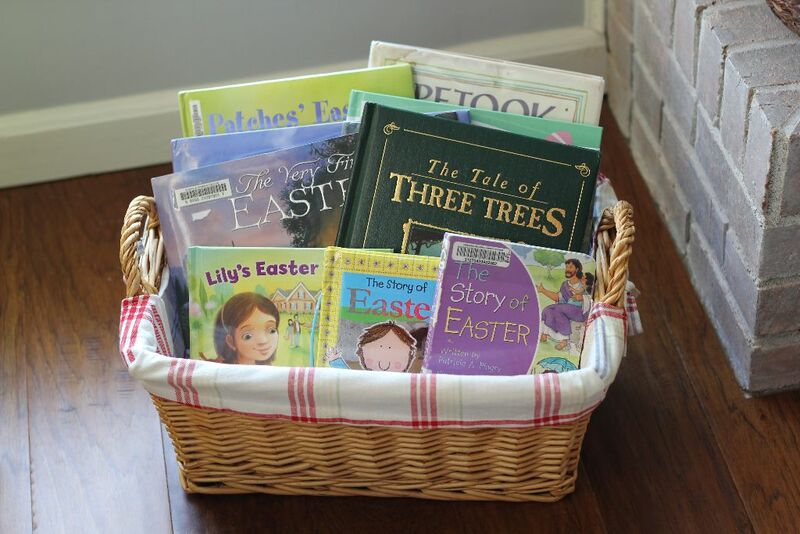 We’ve also sucked the public library dry of any and all Easter books thanks to Elizabeth Foss’ incredible Lenten Book Basket List. Like I get choked up as I think about GrandB reading “The Tale of Three Trees” to EG and I love the sweetness “Little Colt’s Palm Sunday”. If you like children’s books you’ll love Elizabeth’s list. Oh, and Sundays during Lent are considered “mini-Easters”, days to celebrate and commemorate the coming King. We’ve tried to make a more concerted effort to keep the Sabbath Day holy and fun. Sunday’s have been filled with waffles, extra time on the trampoline, glow-in-the-dark Easter egg hunts (glow sticks tucked into Easter eggs and hidden around the house), naps, puzzles, movies, games, read-alouds and PAPER PLATES. Again, thank you, Aimee for teaching me so much and also Edie for her online presence and perspectives. 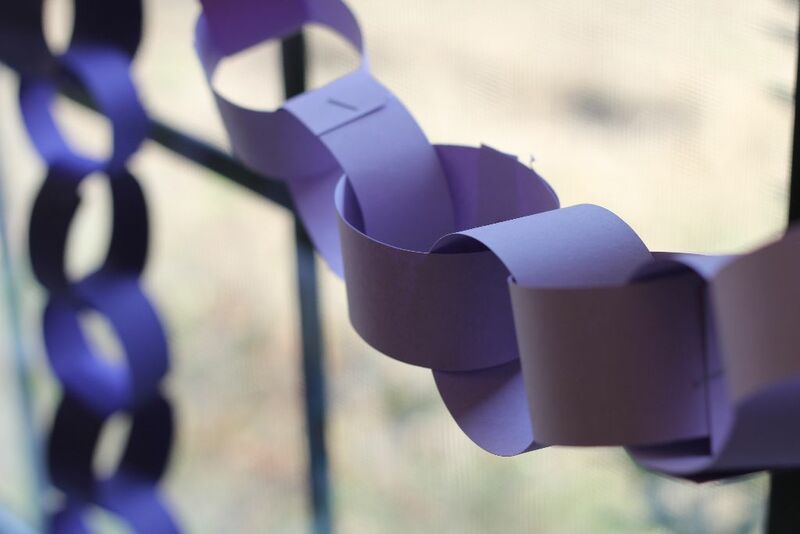 If you’d rather not click all jillion of the links I’ve put in this post, I’ve compiled this document with the reading schedule, a devotional reading from Desiring God and a word on celebrating Lent with kids from the makers of Veggie Tales. I’d love to hear your experiences with Lent! Good? Bad? Indifferent? Anything you’d add or subtract to or from this post? As I looked around Pinterest and the interwebs I was so saddened by how works-oriented this observance can be…but that’s a whole ‘nother blog post (which you should click and read! )…for me, I am enjoying the Lord in sweet ways and thought maybe you’d like to join me too! Kitty, this is an awesome post and I will be sharing or using several of the ideas you mention! For Lentin worship, I am preaching a series on ancient icons of the church (Rublev’s Trinity, Christ Pantocrator, etc). But I guess we were observing Lent sort of unknowingly at RCCC, because Chapel of the Air’s Fifty Day Spiritual Adventure was a Lent emphasis (although they were careful not to promote it as such). I guess it was sort of mainstreamed for more non-liturgical churches! I deeply appreciate all the time you have taken to use the season as a tool for communicating the reality of our need for a Savior and His resurrection power. Precious, precious. I think I will need to copy these for use with Lydia. Oh how I wish I had seen this earlier (and that you didn’t drain the library!)! Must do for next year. I so admire your enthusiasm and great execution with your littles! Love it, girl! !